If you’re one of the many who oddly loves watching serial killer documentaries (I’m extremely guilty) 300 pages of murderers revealing their pursuits of horror are sure to keep you page turning. 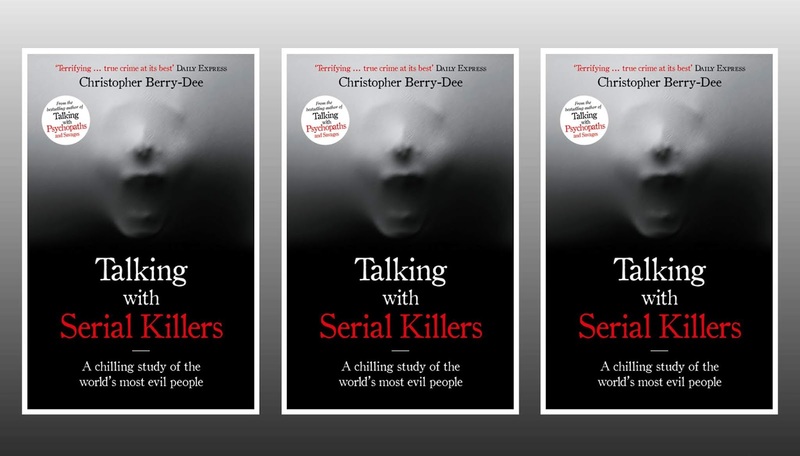 Talking with Serial Killers is written by an investigative criminologist, called Christopher Berry-Dee. To pull the book together, Christopher visited some of the most horrific serial killers on the planet. During lengthy interviews, he conducted notes and audio tapes of their confessions (some murders they confessed to for the first time ever) and gruelling details of their crimes. It offers a penetrating insight into the minds of some of prison’s scariest convicts, as they spill every single bloody detail and speak openly about why they committed the most gruelling crimes which would put most blockbuster movies out of business. The list of serial killers profiled and interviewed include Harvey Louis Carignan, Arthur John Shawcross, John Martin Scripps, Michael Bruce, Ross, Ronald Joseph “Butch” DeFeo, Aileen Carol Wurnos, Kenneth Allen McDuff, Douglas Daniel Clark and Carol May Bundy. It’s a strange one to admit but I was shockingly gripped to this book. Full to the brim with hellish details of how exactly they carried out their murders, it is insanely insightful into the minds of why the hell these lunatics do it. The thought that people can kill others just for the sheer thrill and fun of it isn’t new news but reading the graphic details was. The real-life tales are so graphic and frightening that every time I walked to my car in the dark for a couple of weeks after reading it, I genuinely kept looking around me in fear. While it did keep me page turning, and I wasn’t bored while reading it, there were some parts that I found very disappointing. Firstly, I don’t think it was looked over by a subeditor and checked for grammatical errors. In one-chapter, Christopher refers to a victim (who tragically died) by two names, Gerald and Gerard which I find quite disrespectful towards the dead. Very irritating when you’re reading and keep coming across errors. If you want the back story to what exactly happened to the victims in their final moments and the backgrounds of the killers, then hearing it from them is undeniably fascinating. A lot of the facts you can find on the internet through court documents and articles, but the quotes Christopher has used from the killers are a new angle that is worth checking out if you can’t be bothered to spend hours trying to find credible sources on the internet. Not one for the faint-hearted, not to be read while eating a bacon sandwich (trust me). It’s a 3.5/5 from me.